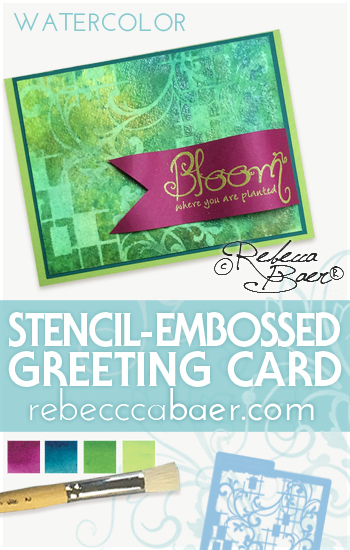 Discover fun and innovative ways to combine watercolors with stencils. This set of cards begins with the application of watercolor followed by glazing with clear embossing powder and ends with lifting color for added contrast. The top image is created using our small "Organic Arbor" stencil (ST-617) and finished with our "Bloom where you are planted" rubber stamp. Shop here for other materials used to create this card. The same process as described in the PDF can also be used to create the card shown below. 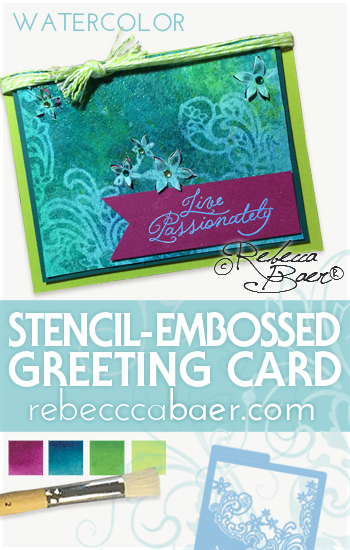 For this card I've used our small "Paisley Garden" stencil (ST-621) complemented by our "Live Passionately" rubber stamp.